City scribblers had little to praise for Lloyds Banking Group when it unveiled its £1.9 billion deal for credit cards business MBNA just before Christmas. But analysts at Barclays stuck their necks out and hailed the acquisition, which had been viewed as an expensive gamble after the Brexit vote. They admitted that the UK’s economic outlook was brighter than expected after the referendum and predicted the MBNA deal, along with higher interest rates, should lift Lloyds’ net interest margin, the banking industry’s profit benchmark, by more than expected. “Although the outlook for the UK economy remains uncertain, only limited deterioration is expected in unemployment, which is the main driver of credit card provisions,” argued Rohith Chandra-Rajan, who called the deal “a good use of capital”. Chandra-Rajan, who hoisted his profit forecasts by 15% for this year and next, also expects Lloyds to dish out more than £10 billion, almost a quarter of its market value, to shareholders over the next couple of years. 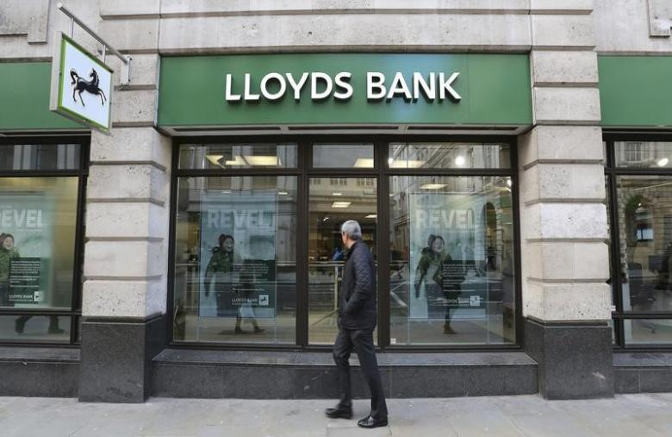 Lloyds shares were up 1.24p, or 2%, to 65.89p as Barclays upgraded the shares to overweight, although it could not prevent the FTSE 100 from drifting 8.13 points lower to 7187.18. On the FTSE 250, doorstep lender International Personal Finance slumped by 11.3p to 164.6p as the Polish authorities ruled it must pay back taxes, which it plans to appeal. Just outside the mid-cap index, engineer Fenner jumped 33.01p, or 14%, to 269.51p after a strong first quarter. Investors dialled into iPhone supplier Imagination Technologies, which rose 6.37p to 249.87p after hiring Mark Dickinson, boss of ARM’s chips unit, to run its own graphics chips business. Investors liked the sound of Gear4music’s trading update as Andrew Wass, chief executive of the online guitars-to-drum kits seller, hiked full-year profit expectations for the second time in three months, lifting the AIM-listed shares 5p to 505p.